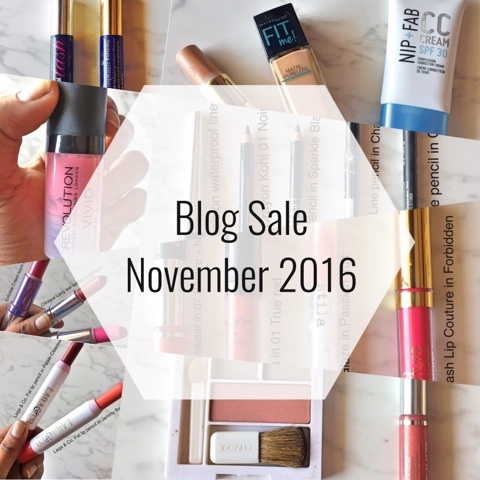 From the last one year my skin has been dealing with some hormonal breakouts because of which I have been extra careful about the products I include in my skincare routine. 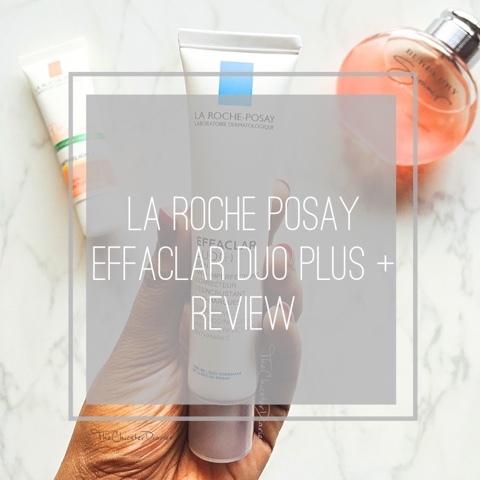 Most of the creams available in the market that help in spot control have a high level of Benzoyl Peroxide that tend to dry out your skin however, being a product that is suitable for sensitive skin that is not the case with La Roche Posay Effaclar Duo Plus (+). 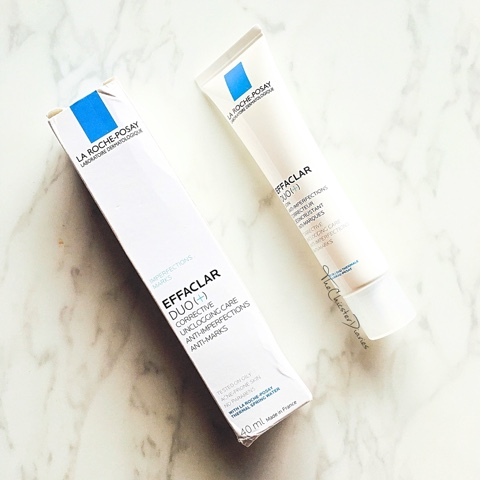 The La Roche Posay Effaclar Duo Plus (+) is the new and modified version of the classic La Roche Posay Effaclar Duo. This version not only deals with acne, blemishes but also includes Procerad™, an exclusive anti-marks active ingredient. Claims: Corrective Anti-Acne Treatment with anti-marks. New texture: fresh gel-cream, 24hr hydration and long lasting mattify. Absorbs quickly for a non-sticky, non-oily finish. Corrects the appearance of imperfections. Properties: Imperfection-prone skin, clogged pores, excess sebum. Complete care with reinforced anti-imperfection efficacy, thanks to Procerad™, an exclusive anti-marks active ingredient. Apply to the whole face morning and evening. For best results, cleanse skin with EFFACLAR FOAMING GEL, pat the skin dry with a soft towel and apply Effaclar Duo (+) all over the face. Can be used alone or with a moisturizer. Use every day to get oil-free, healthy-looking skin. Due to its light texture, it acts as an excellent make-up base. The product arrived in a squeeze easy nozzle tube. The nozzle made the application process easy, hygienic and super convenient while travelling. It had a light and refreshing scent that is not at all bothersome to me and does not linger around for a long time so people who are sensitive to scents need not worry about this. 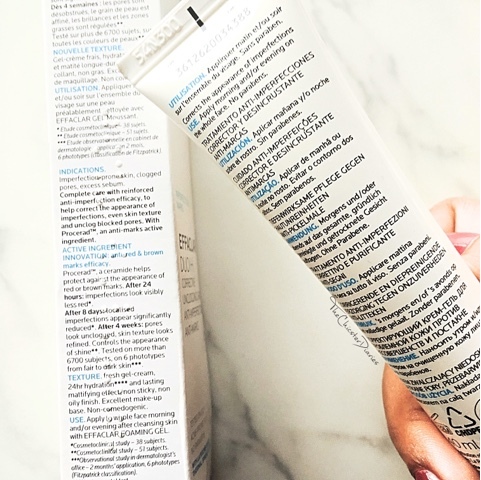 This white, gel cream product gets easily absorbed by the skin within a couple of minutes without leaving a greasy layer behind. The product feels very light and non-sticky on application. 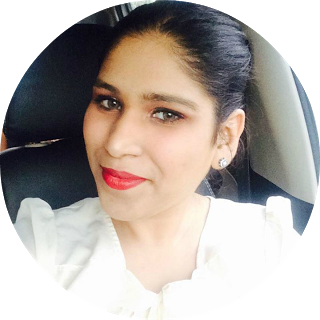 I have used it prior to makeup application and it teams up just fine with makeup products due to its hydrating yet mattifying nature. I had come across many posts earlier where people preferred to use this product as a spot treatment product but I like to rather apply a very thin layer of it as instructed all over my face (once a day after cleansing and toning my face in the morning). Only upon religiously applying this product everyday for a month I started seeing a noticeable difference in my skin. I noticed that the product helps in reducing the size of the acne within a day *woooohooo! * as well as reduces the redness and irritation caused by it. My skin felt clearer as no new spots were formed and I have even noticed that this product helped lighten dark spots but did not get rid of them completely. Add on benefits of this product is that it is non-comedogenic, hypoallergenic and free from parabens, making it mainly a boon for sensitive skin people. Highly recommended! Hope you enjoyed reading this post. Drop in a line in the comments section below and let me know which spot treatment products you would recommend? 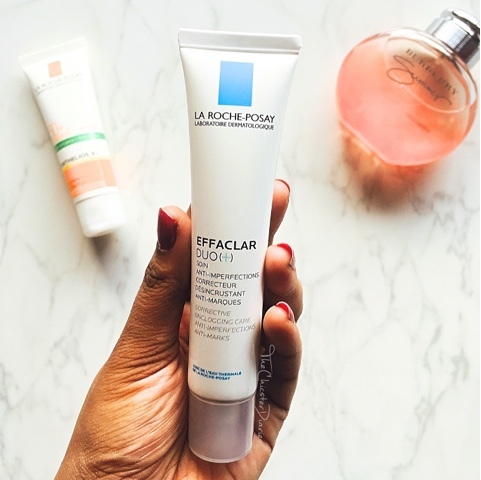 Also, have you tried La Roche Posay Effaclar DUO Plus (+)?